A young man, paroled under house arrest, is forced to reconnect with his estranged father while coming to terms with an unspeakable trespass. An injured Iraq war veteran embarks on a blind journey of vengeance against those he deems responsible for his brothers death. As the two stories intertwine and collide, both men fight to reconcile their past, present, and ultimately, the meaning of their lives. 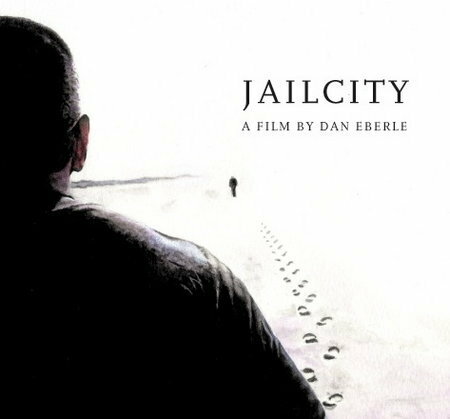 Through the powerful use of visual narrative, a diverse musical score, and truly touching performances by an all New York cast, JailCity brings together disparate lives in a distinctive urban setting, struggling with universal themes of tragedy, redemption, love, and the futility of revenge. I walked into Jailcity at the Avignon New York Film Festival this past November. I was at the fest supporting a friend's film and scored a free pass to any movie playing there. Jailcity was playing in the bigger theater, so I went in. I saw the fliers for Jailcity: No name director, no stars I'd ever heard of, and a synopsis that seemed like it might be a decent actioner. I was BLOWN AWAY! First of all, the shooting was just beautiful. From the very first frame, to the end, it looked like a painting, not like some cheap indie flick. Second of all, the characters were awesome, it was so cool to see no name actors really bring it, especially "George"(played by Dan Eberle, the writer and director), and all the actors playing the Ramos family. You really felt for these guys. Everyone is just trying to do right, pulling in all different directions. The guy who plays "Jay" is incredible. You just hate his guts every second he's on screen! My only gripe about Jailcity is that it got a little slow in the middle, but just when you think you're about to get bored, the last third of the movie kicks in and its probably the most intense stuff I've seen on screen in years. I wont ruin it, but you just don't know whats coming, and it breaks your heart. Its an amazing ending. Stick with this movie, cause it sticks with you long after its over. Best film by a first time indie director I've ever seen. I enjoyed this film, and think that the film maker has a bright future. My scale is a sliding one, based on many factors. For instance, the original Dawn of the Dead was a 10 out of 10 for zombie gross-out flicks; Alien rates a 10 out of 10 for sci-fi horror. Braveheart is a ten in all categories. It is not a scientific rating system, but it works for me. When viewing low budget indy films, if it's something that my wife and I see when flipping through the IFC or Sundance Channels, and we actually watch the whole thing, then it rates highly. Jailcity is just such a movie. It grabbed our attention, and held it; we cared about the main characters, feeling some of their pain. Finally, the film surprised us. Most movies are disappointing. We all have our biases, and what some enjoy, others will not. I do think that if you remember what it is, a first effort by a hungry young director with no money, you will be impressed.